Today we are going to be comparing three extremely popular VPN providers, NordVPN vs Tunnelbear vs ExpressVPN. Taking a look at the features we believe truly matter such as the privacy policies, encryption standards, locations offered, jurisdiction the company operates out of, among several other key features. Coming in at number one on the list is NordVPN, simply for its all-in-one VPN experience. Where to begin, NordVPN genuinely cares about user privacy offering a truly secure and fast VPN. With all the features NordVPN offers, it’s hard to imagine them to all be realistic or usable, but they are and are always readily available at your fingertips. 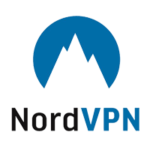 Some more obscure features NordVPN offers includes access to 59 different countries, a list of over 3,000 fresh proxies, a double VPN, dedicated IP addresses and a Tor over VPN configuration built-in (one click). What we listed is only a taste of all the features NordVPN truly offers. NordVPN operates out of the jurisdiction of Panama, a country completely out of reach of the 14 eyes surveillance program. Even going the extra mile to offer an anonymous way to pay, bitcoin. While NordVPN is quite polished on all fronts, we do find one major downside. Shockingly enough every VPN on this list falls victim to this same issue, and that’s using shared hardware. 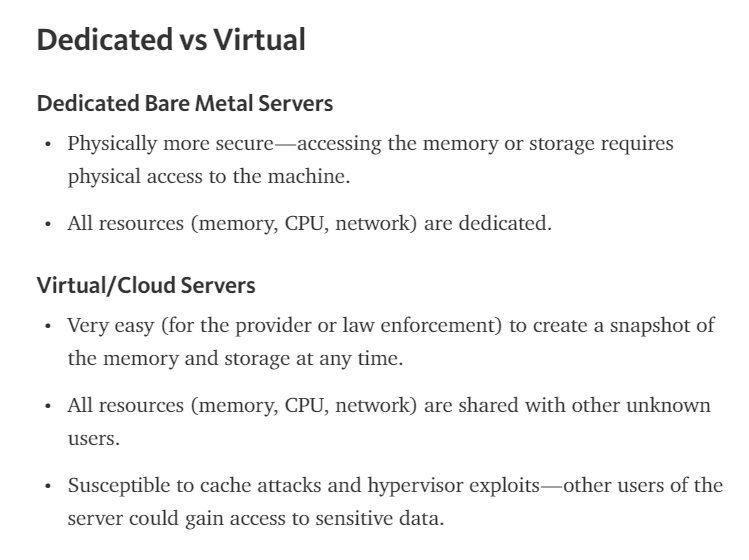 While shared hardware does not make a VPN insecure by any means, it remains a large controversy within the security community. Regardless, all VPN’s on this list make themselves victim to this issue. NordVPN is one of the few actually privacy conscious VPN providers we’ve trusted for well over 3 years now. In close second is ExpressVPN, there is only one downside that pushes it one slight tick below NordVPN. When looking at the highlights of ExpressVPN you can see this VPN is jam packed with a large network of countries and a swath of features. Alongside that is their major price point, well, it’s not too bad, but it’s pretty big. 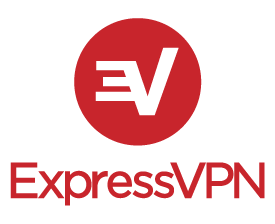 While ExpressVPN does have a high price, it’s for a good reason. ExpressVPN provides a truly premium VPN experience. Its price may definitely steer people away at first, as it did me, but after you go through your season of VPN’s, you’ll be looking for a solution to settle down with. And I’d say ExpressVPN really provides that experience. The website is amazingly fast, they’re always immediately updating their encryption to the highest standards, and they have one of the biggest VPN networks by far. Aside from their highlights, they have amazing Windows, Mac, Chrome & Firefox apps. Yes, they have Chrome OS and even Firefox plugins, which work just as great as the desktop and mobile client. ExpressVPN does have its downsides as well, again, making itself victim to using shared hardware. Again, while it doesn’t make ExpressVPN insecure, it remains a controversy. On top of that, they operate within the British Virgin Islands which falls within the legal jurisdiction of the United Kingdom, which is part of the 14 eyes surveillance program. However, they do allow you to pay in Bitcoin. While it may be expensive, you may find yourself settling down with ExpressVPN and feeling right at home. And coming in last is Tunnelbear, a smaller VPN company who has recently been making quite a roar in the community. Tunnelbear is the only VPN on this list to offer a free plan, a route not many providers offer. The main reason Tunnelbear comes in last its lack of features, but it’s still a secure VPN regardless. For starters, Tunnelbear only offers access to 20 different countries, which isn’t even the main downside. Our major gripe with Tunnelbear is their lack of support for bittorrent. Even on their paid plan, Tunnelbear offers zero access to bittorrent, making it an even bannable offense. Another downside is that Tunnelbear also uses shared hardware. The last complaint we have is it’s located right in the heart of Canada, a good friend to the five eyes program. Aside from their lack of countries and bittorrent support, Tunnelbear is quite a decent little VPN. They do offer some of the highest rated encryption, 5 simultaneous connections, a dedicated DNS and a pretty decently priced yearly plan. One thing we really enjoy is Tunnelbears computer and mobile apps. From our testing the Windows, Mac and Chrome extension (Chrome OS) work flawlessly, and the apps are packed with all their features readily usable. Don’t be shocked if you find yourself groaning during signup, Tunnelbear is like one big dad joke, but it can be pretty funny at times. 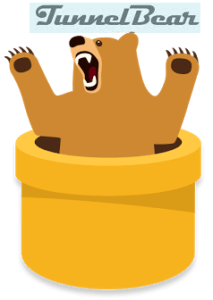 All the bear puns aside, Tunnelbear offers a stable and fast VPN, just a little feature lacking for our wallet.